Today I’m trying something new! I’m turning this blog post into a READERS FORUM. 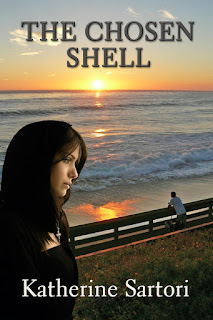 As the debut author of THE CHOSEN SHELL, I’d love to reply to your comments and questions, plus I’d love it if we discussed ideas among ourselves too. Some of you have already read my novel. But since it’s only been on sale since Dec 14th, I’m sure many haven’t. That’s okay, we can still talk about elements of my book without giving away the story’s secrets. I’ll start with a few questions: Are you intrigued by the era of the 1960s? What’re your thoughts about that era? Did you ever wonder what it was like to be a nun? Did you ever want to do something extraordinary? Have you ever had to make a difficult decision? My novel will elicit these questions in your mind. I’m excited to hear your answers and comments! So don’t hold back, ok? To some of you, life in a convent probably seems as foreign as life on Mars! Well, my story isn’t sci-fi but it IS historical fiction, because it happened over 50 years ago. And since I was a nun myself for several years, as you read my story you’ll be receive true-to-life glimpses of monastic life. Have you ever wanted to do something with your life that was a cut above everybody else? If you have, you’ll understand Celie. If you haven’t, you’ll probably be curious about WHY she would choose to be a nun. Nonetheless, as you follow her into a convent of Augustinian nuns, set in the hills of a small northern California town you’ll see her grapple with a very different life style than she expected. Have you ever chosen something and then found out it was quite different from your expectations? But WHY does Celie want to be so special? That’s another question. . . Okay, I’m done writing for now. . . Instead, I’d like to know what you think. Share your comments and questions, PLEASE! Perhaps some of my former-nun friends will share their insights too. I HOPE so! This entry was posted in Uncategorized by Kathy Sartori. Bookmark the permalink. Sounds fascinating,intriguing. I had several friends who became nuns in the 60’s. Years later I found out that one had subsequently married someone in Mexico. Was a bit shocked to know she’d left the convent. Should be an appealing subject. Actually, Penelope, there were @180,000 to 200,000 nuns in the U.S. during the 1960s and only a third, @60,000, remain in the convent today. Some, of course, have passed away, but thousands left in the late ’60s and ’70s. Also, many former nuns are still my friends and almost all of them are married, as I am, so it’s not as surprising as you might think to hear that someone you knew, who was a Sister, left and later married. I guess the mainstream press hasn’t published much about it though, so I think, like you, that it still remains an intriguing subject. 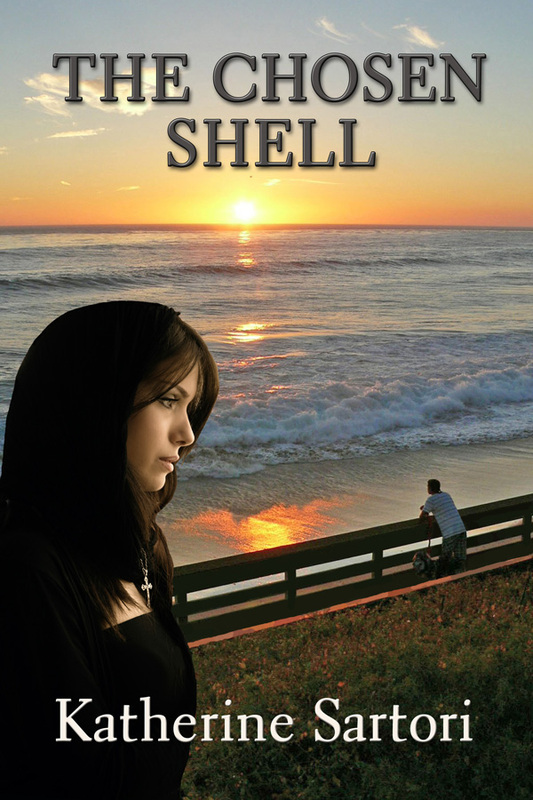 That’s partially why I wrote THE CHOSEN SHELL. I have often wondered why a young woman would devote her life to God. What’s her life really like? Is she depressed that she cannot go out and do what other young girls do? Does she have regrets? Does she feel free? I went to a boarding school in England and often felt imprisoned. I am not the type of woman who could live a life without a husband. Yes, “why” is one of the questions especially women of the 21st century will ask incredulously. The ’60s though, was a very different time. I think when you read about Celie and what her mindset was like in that era, your question will be answered. As to what her life was really like in the convent, since I spent several years as a nun, I’ve tried to bring readers back in time, inside a monastic convent and the daily practices of these nuns. That part of my novel is largely factual. I don’t really think Celie felt “imprisoned,” though. That’s not the word I would use. After all, she chose to go into the convent. I don’t know whether you actually chose boarding school, Sonia, or your parents did. I think Celie began to realize, though, that some of her goals would be thwarted as a nun, although other desires realized far more than she’d expected. For instance, she learned how to be a wonderful teacher of bilingual children and even drafted her own lessons in the classroom which parents & children alike loved. These lessons were so excellent that the Order wanted her to publish them. I think it is a natural human desire to want to be special. I think that is why Celie wants to feel special. I think wanting to feel special is a natural need, as you said, Pam. Some seem to need it more urgently than others though, and I’m not quite sure why. Celie had a special set of reasons. Like her, many of us sometimes seek out fulfillment in places or w/ people who disappoint us. Thanks for your reply. I’ve had the experience of seeking fulfillment with people who disappoint me…and in retrospect, I realize the only person who can fulfill me is ME! Characteristically, my thoughts go to film: I recently saw “The Nun’s Story” in its entirety for the first time (never read the book). Would really be interested in your take on this motion picture if you have seen it – I found it so dense as to be spiritually exhausting! Can’t wait to read your book. You wouldn’t know I’d spent time as a nun because, for the most part, I don’t tell many people, preferring that they get to know who I am now. But since my book has been published, I feel a lot freer about that. I figure after finishing my novel, they’ll decide that I’m a very normal person who just has a semi-intriguing past. As far as my novel being similar to THE NUN’S STORY, I’ll be interested in your answer after you’ve read my book. I haven’t seen the movie in many, many years, so I don’t feel qualified to give an opinion. But I do enjoy hearing what readers’ reactions are; it’s definitely part of the fun of being an author so far! So be sure to let me know your responses, opinions and even any emotional feelings you had while reading Celie’s story. I think Celie’s path is fascinating. She may be grappling with her decision to become a nun, but these themes are universal. Who hasn’t wanted to be special, and who hasn’t struggled to find meaning in one’s life? These are timeless pursuits, and I love that you’re examining them within the context of the 1960s, when so many of Celie’s struggles are reflected in society at large. Just terrific. Yes, DeAnna, I’ve always felt Celie’s conflicts in my story are more universal than the dilemma of a nun trying to decide whether to renew her vows. Lots of individuals try a career path and invest incredible energy, time and money into becoming doctors, scientists, entrepeneurs, etc. and then have to re-evaluate their choices years later. It’s difficult but necessary, because avoiding what can give us our days meaning relegates us to leading “lives of quiet desperation,” to use T.S. Eliot’s words. And yes, the ’60s was a singularly idealistic era when millions of young people were searching for meaning in their lives. Thousands went into the Peace Corp after hearing J.F.Kennedy’s exhortation “to ask not what your country can do for you, but what you can do for your country.” Thousands became nuns and priests as well. It was a very different, historical time. But I do believe that giving our own life meaning is a universal yearning that stretches across all decades and centuries. It’s amazing to me that someone as young as 18 would make such a huge, life altering commitment as to become a nun. But I guess if I were 18 again, I’d not recognize the hugeness of my decision. Especially in this era, I tend to agree. Nonetheless, a friend of mine’s granddaughter (age 20) entered a convent in Southern California last year. Fewer girls enter the convent now compared to 50+ years ago, sometimes only one or two enter a congregation per year, and nuns’ congregations in the U.S. rarely accept them at 18. I think that Celie’s feeling of being “stuck” in her inability to make a decision is very relatable. She is so lost that she can not even begin to analyze the problem at hand. This feeling is easy to connect with because I think this happens to everyone at one point or another. When we are standing at a crossroad and can’t begin to make up our minds at which point our lack of decision usually makes our choice for us. Your comment is very wise. Someone very dear to me told me long ago: “If you don’t use your power, you lose it.” Knowing that you haven’t yet finished my novel, I’m hoping that you’ll be happy when Celie finally summons up the courage to use her inner power and act on it. Taylor, I’m especially interested in your reactions to and opinion of my story because you’re 17, very close in age to my protagonist, Celie. I’m looking forward to a lengthy conversation after you finish the book! © Copyright 2004-2014 Katherine Burns Sartori. All rights reserved.